The advertisement below says it all! 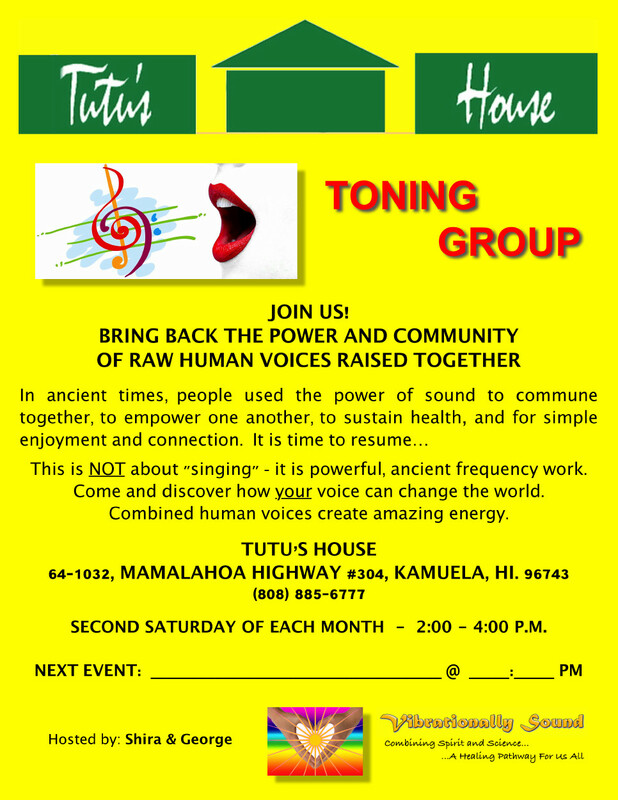 The Monthly Toning Group powers up again at Tutu’s House in Waimea / Kamuela, HI. YESSS!! Come and join us for one of the most powerful experiences you can immerse yourself in with frequency and the human voice. It sounds simplistic – yet it is a very profound experience. A classic example of how frequency work appears “simple,” and yet has a scope far beyond anything we could imagine. It impacts us in so many unseen, but deeply experiential ways. Open mouths, open minds, open hearts = an amazing event. Join Us! !